HEXUS has run a dizzying array of epic competitions over the years, and this one is certain to whet your appetite. 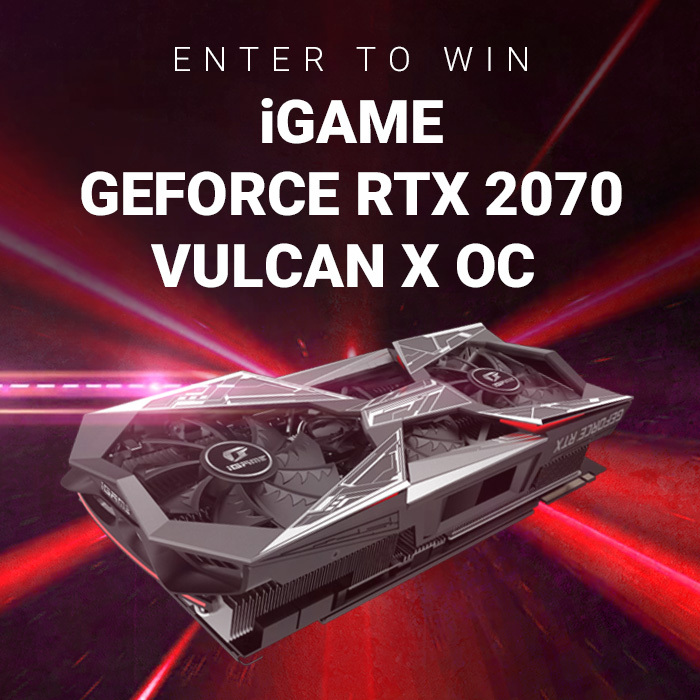 To celebrate the launch of Nvidia's latest-generation Turing GPUs, we've teamed up with Colorful to give you the chance of winning a high-end iGame GeForce RTX 2070 Vulcan X OC graphics card! Need we say more? Simply answer the following question to enter our free prize draw, and don't forget, you can also claim a second entry via Facebook. Thank you for taking part and good luck! The competition winner will be picked at random from all eligible entries that arrive by 22:00 London time on the closing date, October 21, 2018. The winners will be notified via email by October 28, 2018. The winner must claim their prize within 7 days of the promoter sending notification. If the prize is unclaimed after this time, HEXUS reserves the right to offer the unclaimed prize to a substitute winner selected in accordance with these rules. The prize is a Colorful iGame GeForce RTX 2070 Vulcan X OC graphics card. Awesome prize - let's face it, this is my only chance of upgrading to a 2070 at the current prices! Ducks to get out of the way of the stampede! Very nice prize. Winning one is the only way I would afford any of these new cards.